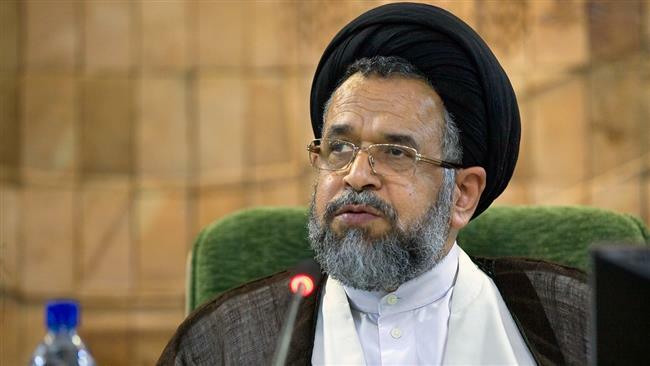 Iranian Intelligence Minister Seyyed Mahmoud Alavi says unity and cordial relations between Shiite and Sunni Muslims play a key role in reinforcing security in the Middle East. During a conference on the role of Islamic unity in the establishment of sustainable regional security held in the western Iranian city of Sanandaj on Tuesday, Alavi said Muslims must reinforce their unity in order to create a Middle East region free of violence. “There is no need for enmity among Muslims, because we have a cancerous tumor called the usurping [regime of] Israel in the region,” the Iranian intelligence minister said. He, however, emphasized that Israel moves closer to collapse every day. Alavi said enemies seek to sow discord among Muslims, knowing that united Muslim nations cannot be defeated. He noted that Shiite and Sunni Muslims in Iran are united, saying such unity has increased the country’s security despite widespread insecurity in regional countries, including Turkey, Iraq and Pakistan, and even in Europe and the US. “The enemy has made its utmost effort to cause insecurity in the country but it has failed,” the Iranian minister said. Elsewhere in his remarks, Alavi said the Daesh Takfiri terrorist group is the product of an American-Israeli plot and the terrorist group was created with the purpose of sowing discord among Muslims to guarantee the Israeli regime’s security. The Islamic Republic never associates the issue of Takfiris with Sunni Muslims, he added. In a bid to stir sectarian strife among Muslims, some Western media have sought to depict the Daesh Takfiri group as Sunni militants; however, Sunni Muslims have been among victims of atrocious attacks by the terrorist group, which is mainly active in Iraq and Syria.